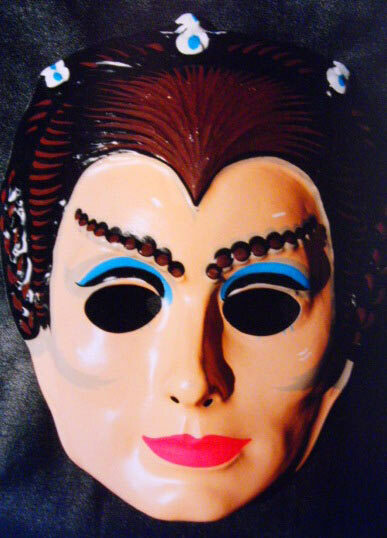 First off, we have this cool costume of Metamorph Maya from season 2 of Space:1999. I had a real crush on Maya as a kid and I'm shocked I've never bought this set. Might be because I've never seen it. 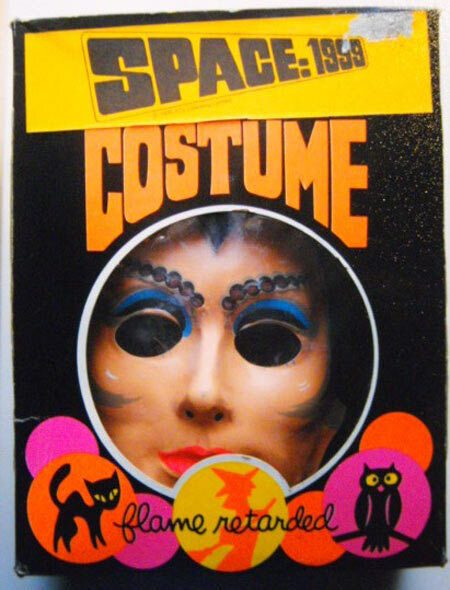 This is a second season Commander Koenig set, 1976 was the peak year for children going as Martin Landau for Halloween. It saw a little lift when "Ed Wood" came out but it didn't come close. The big difference between the outfits is the smock, this is the second season one. 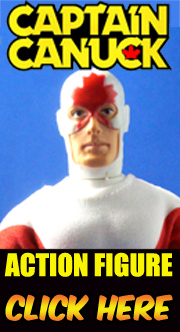 Look at the action! 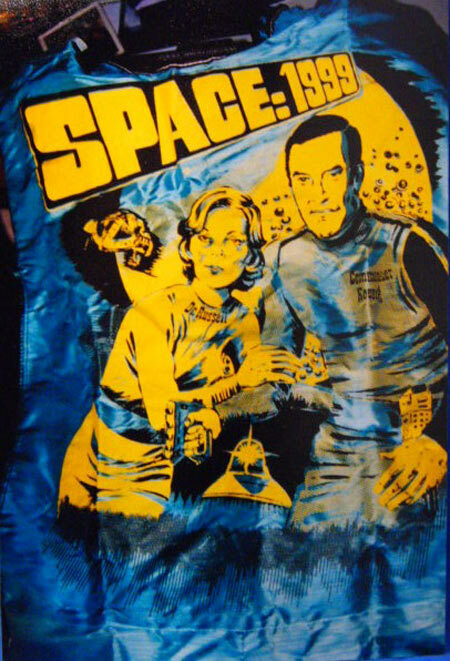 And this is the first season smock, a little more subdued much like the show itself. 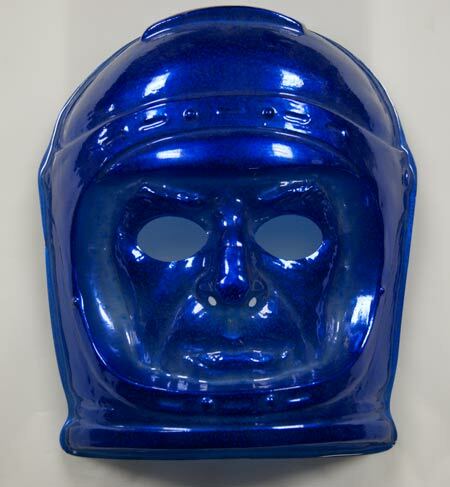 Straight from the Collegeville archives come this prototype John Koenig mask. This kind of stuff got into dealer hands when the company folded. 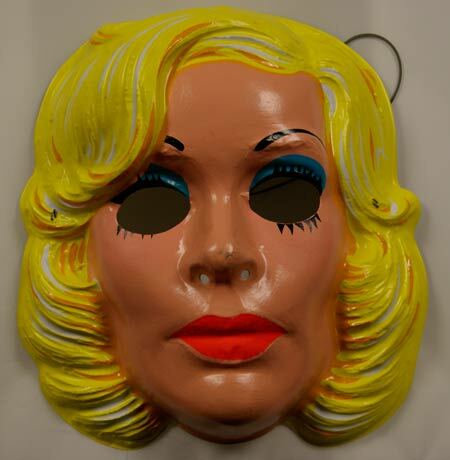 And here for your nightmares is the Collegeville Dr Helena Russell mask. Her set was dropped after one year in lieu of Maya. 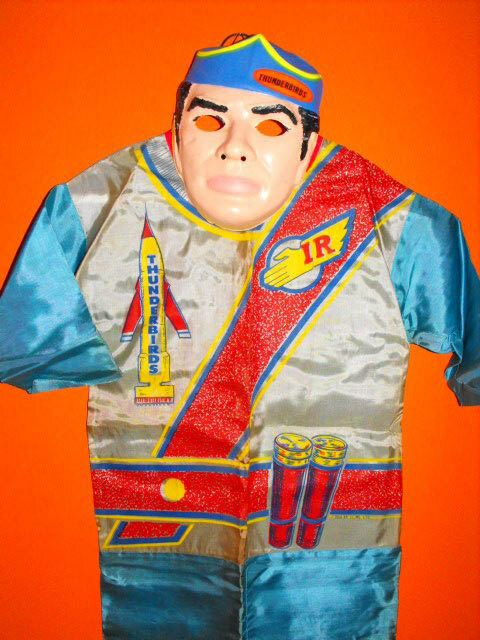 From the 1960s comes this pretty awesome Thunderbirds costume, not sure which Tracy brother this is. The box alone is crazy cool. 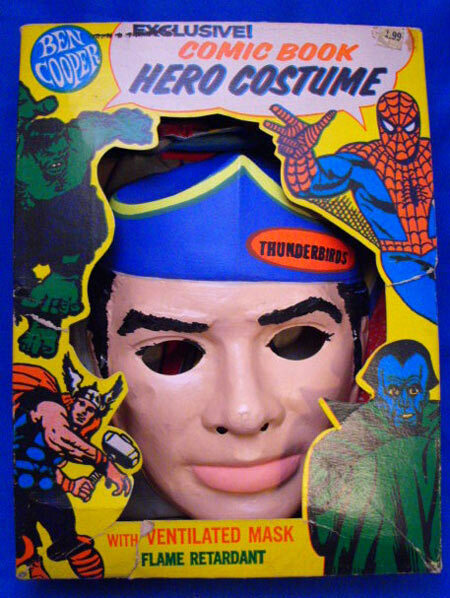 I wasn't much into the Thunderbirds, all I know is this isn't Brains. 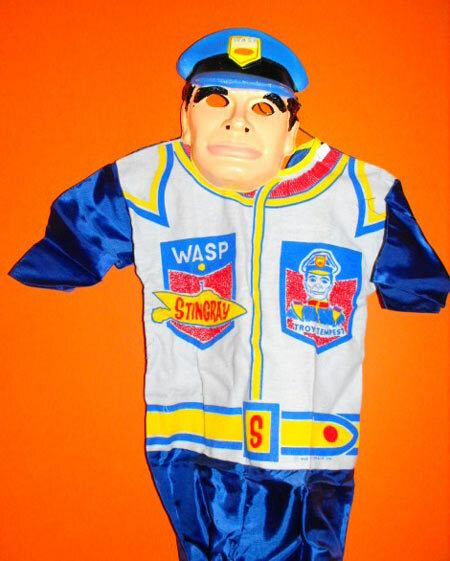 I do however recognize the Captain of Stingray, Troy Tempest. The WASP on his hat stands for the organization he works for and his ethnic background, so it's two things! 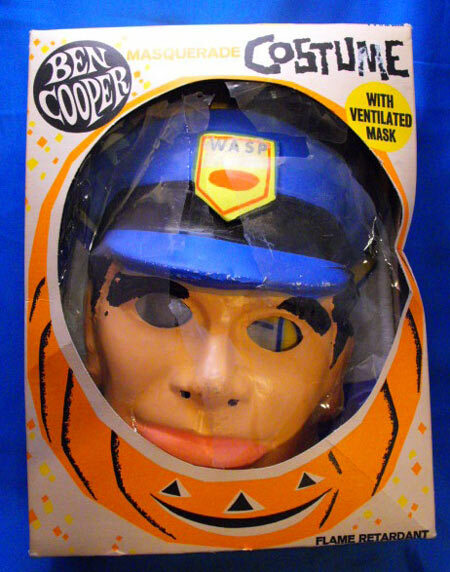 Depending on time I might do multiple posts today, if I don't, please make sure to have a wonderful and safe Halloween. I'm digging out my "Abbot and Costello meet Frankenstein" DVD and hope to be disturbed during it's viewing. The Tracy brother in question is Scott. You can tell from the eyebrows! LOL!! 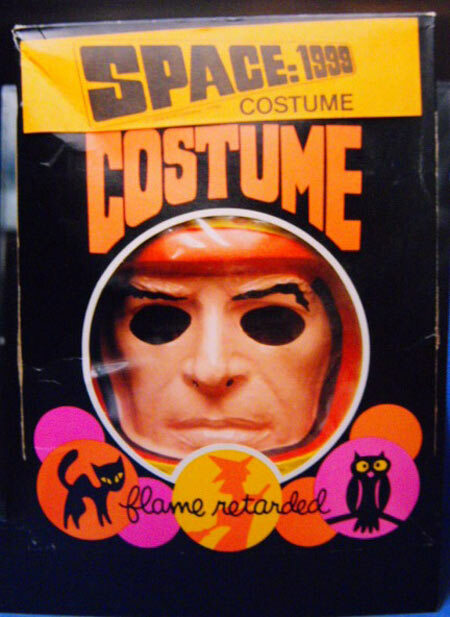 Scott beat me to identifying the Scott Tracy costume by a matter of days. 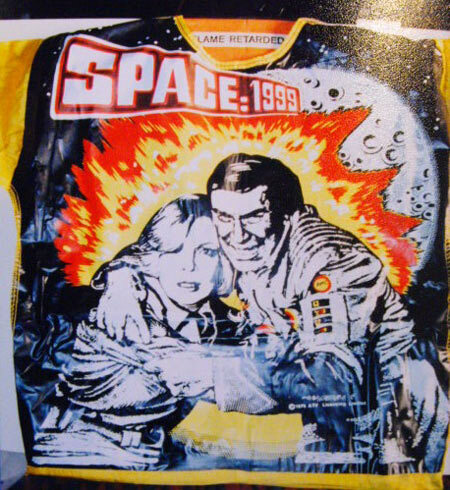 Besides the distinctive eyebrows, you can also tell it's the oldest Tracy brother by the image of his vehicle Thunderbird 1 on the smock. 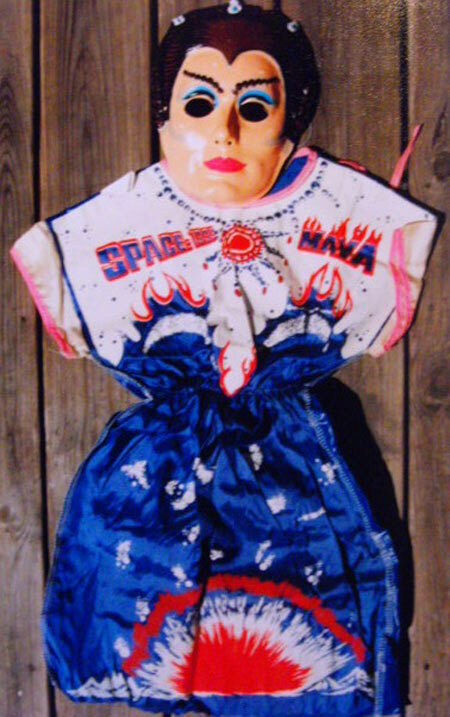 I wore these very Stingray and Thunderbirds costumes on successive Halloweens, so these photos brought back some amazing feelings of nostalgia!